I ordered online in about 5 minutes. 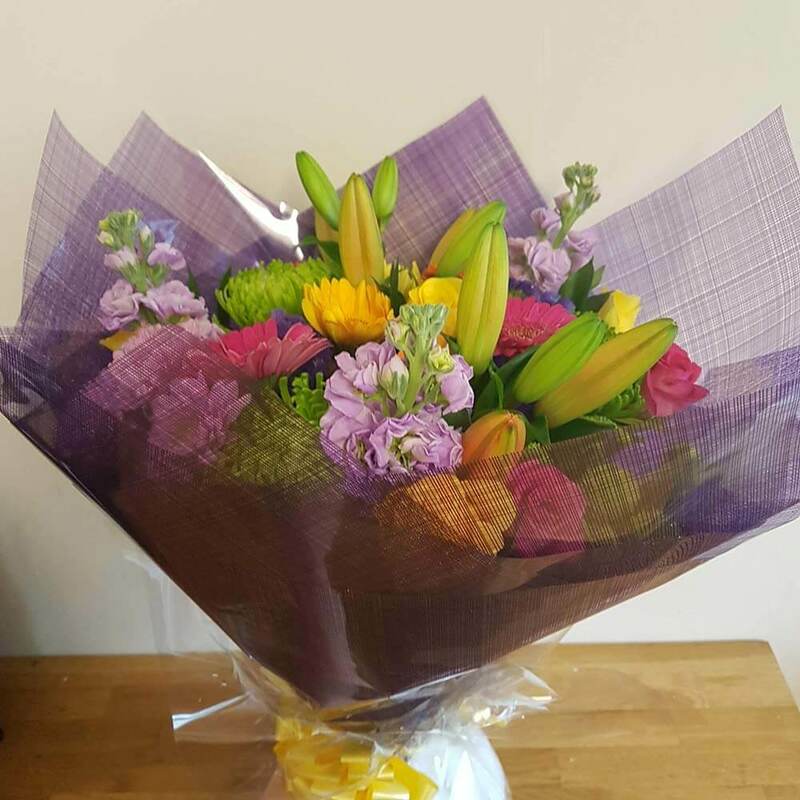 I chose my flowers (the Vibrant Hand-Tied Bouquet @ £30), paid and set my delivery date. 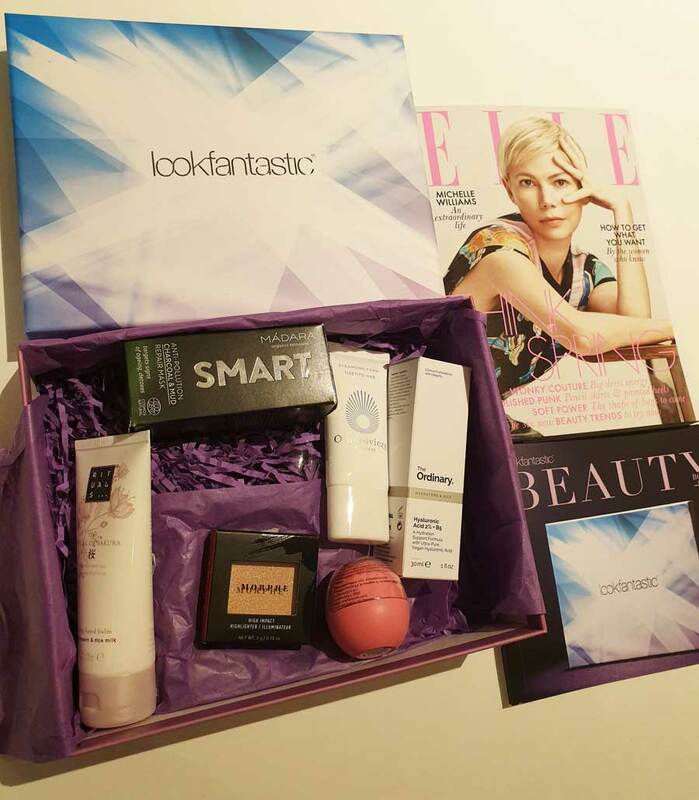 You can choose to either have the delivery sent First Class or Signed For. If you choose Signed For, make sure you or the person you’re sending them to will be in. If this happens and you’re out, you’ll get a card through your door asking to pick them up from your nearest Royal Mail delivery office. Handy if you’re going to be out. 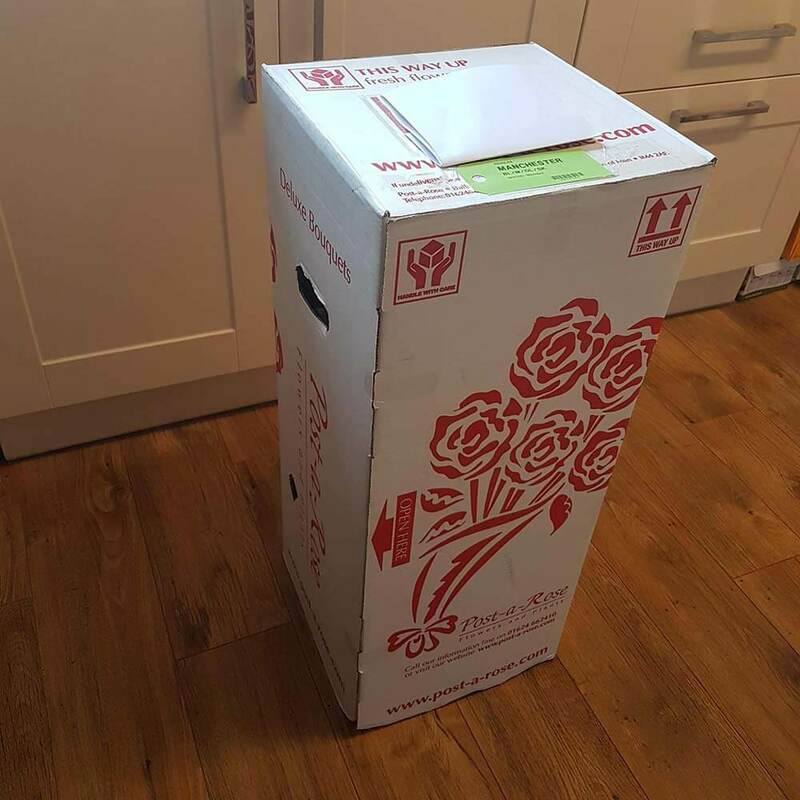 My flowers came in a large upright cardboard box, surprisingly light-weight. It was easy to open from the side which makes sure the flowers are always upright. 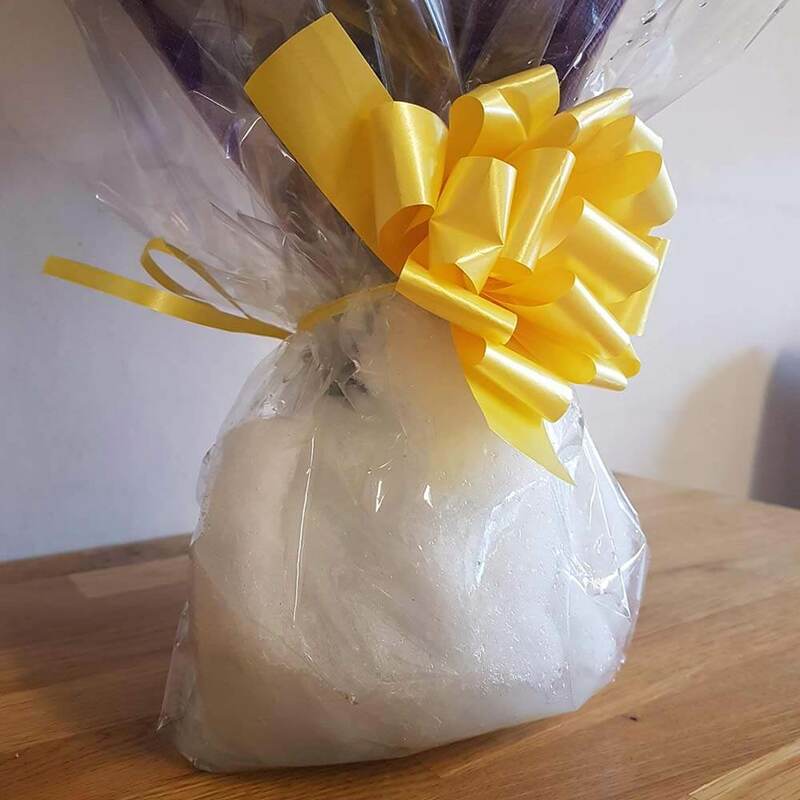 The flowers came soaked in water in a sponge, surrounded in a clear thick cellophane covering. 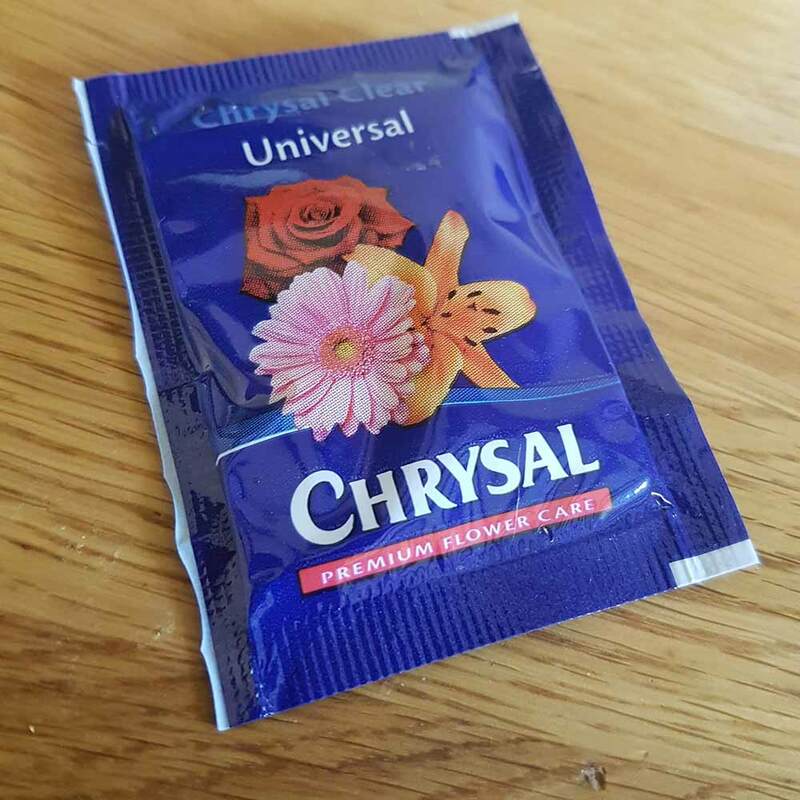 I also received a packet of flower food. 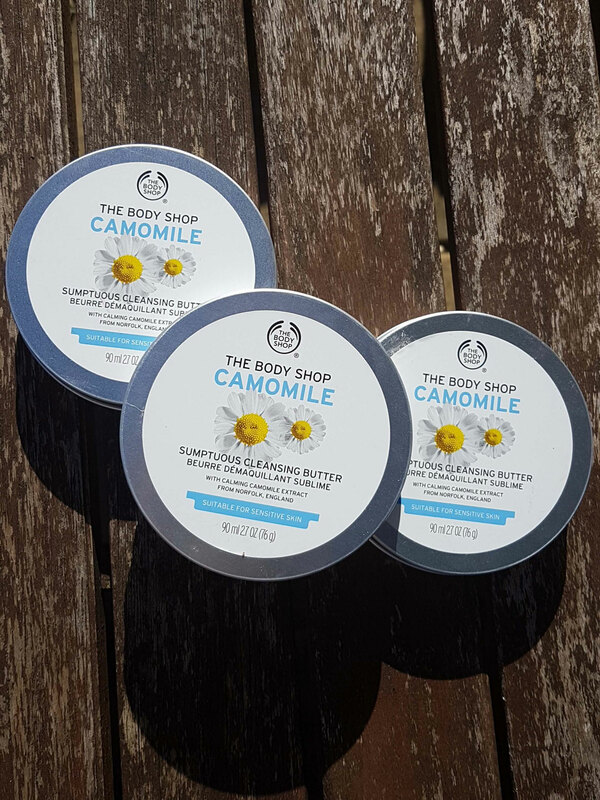 The flowers smelt amazing – they filled my kitchen with the freshest, most summery smell. 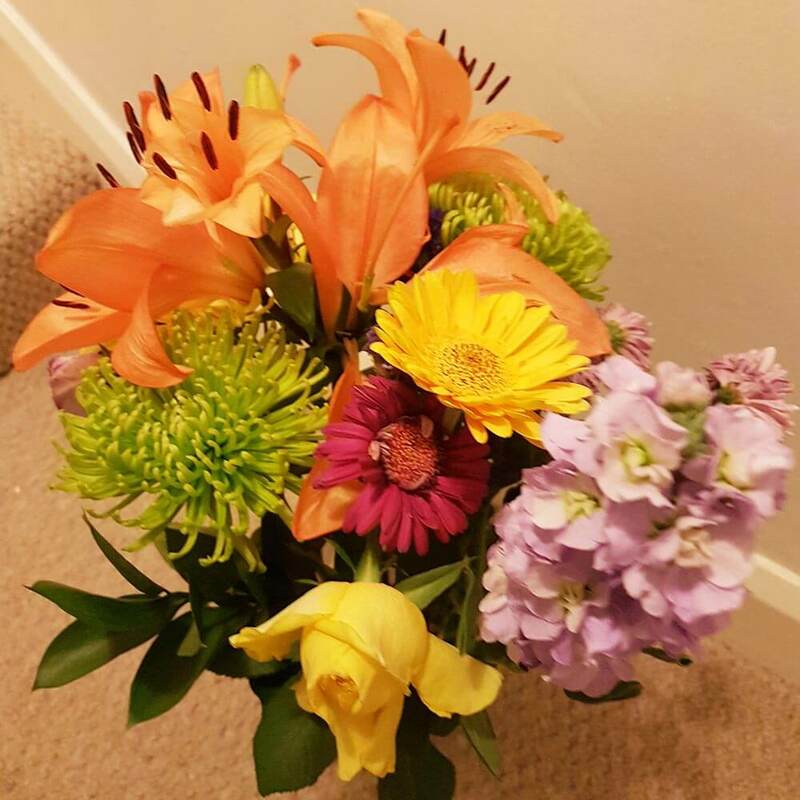 The flowers included with my bouquet included Lillies, all of which were closed – showing just how fresh the flowers are. The Lillies opened after a few days. 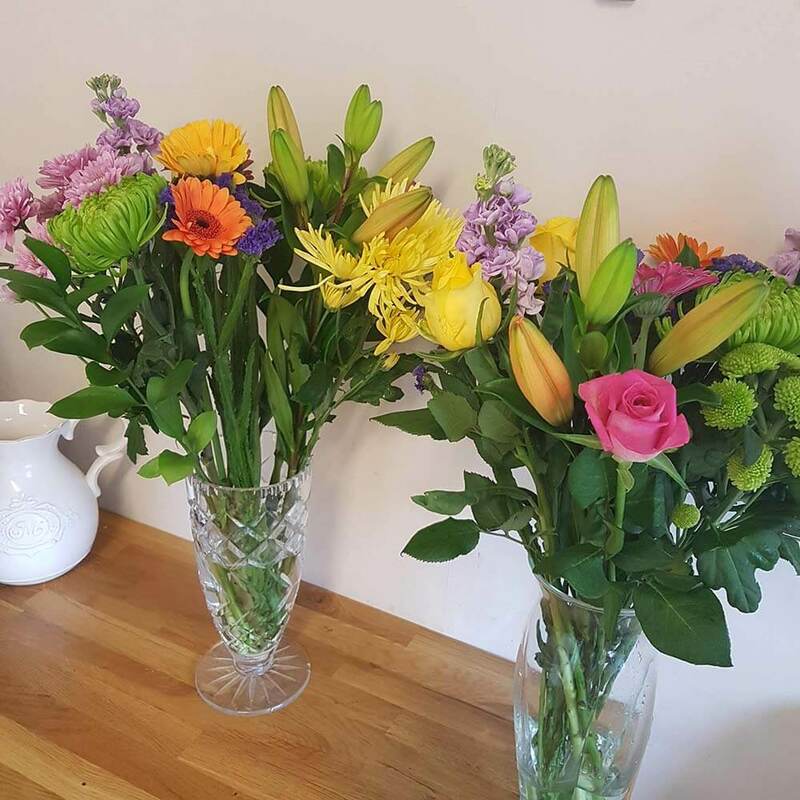 My flowers stayed fresh for just under TWO WEEKS – this is amazing! And even then, I only had to remove a few dead/dying flowers. The rest lasted TWO and a HALF weeks! 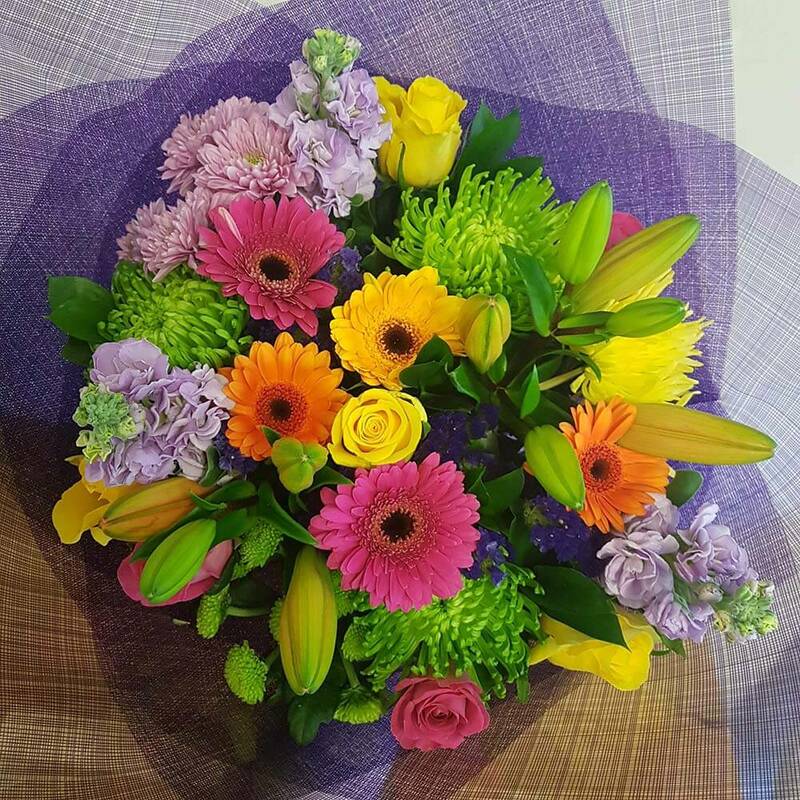 I cannot stress enough how amazing this is – for flowers not only bought online, but even from expensive retail shops. 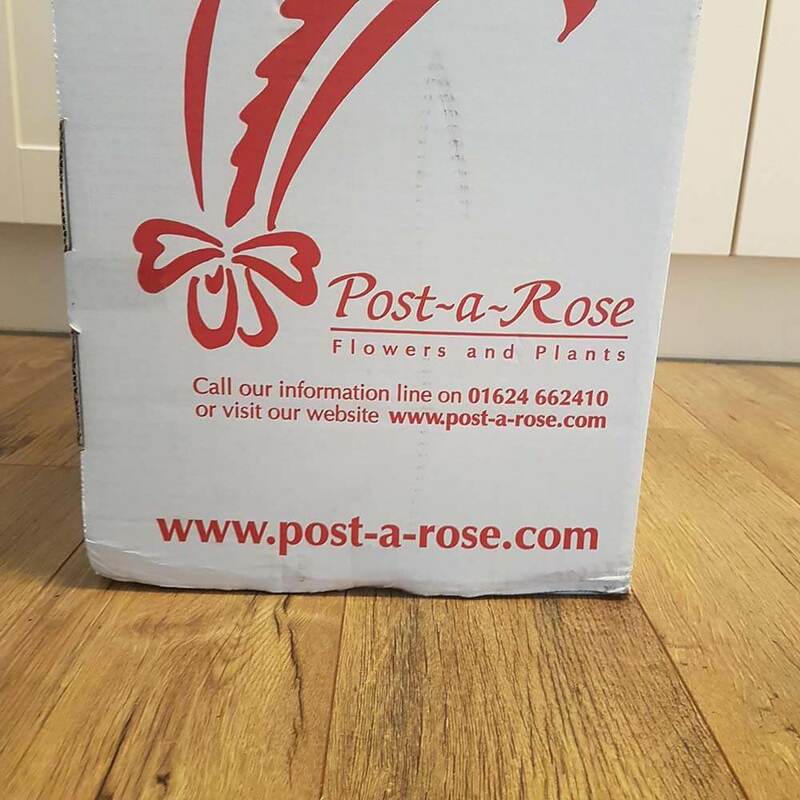 I decided to order from Post-a-rose because I’ve had bad experiences in the past. 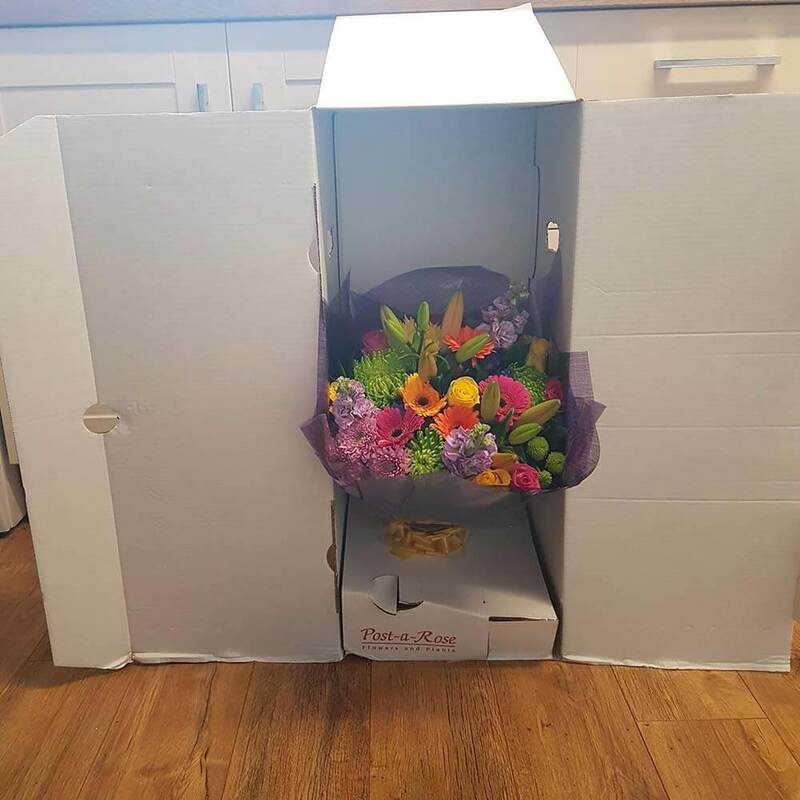 I’ve ordered flowers for my Mum before. Not mentioning any names, they came awful – a few flowers were dying, some were already dead – those left didn’t last longer than a few days. They were also in full bloom when delivered – there were no buds – showing the flowers were not fresh. 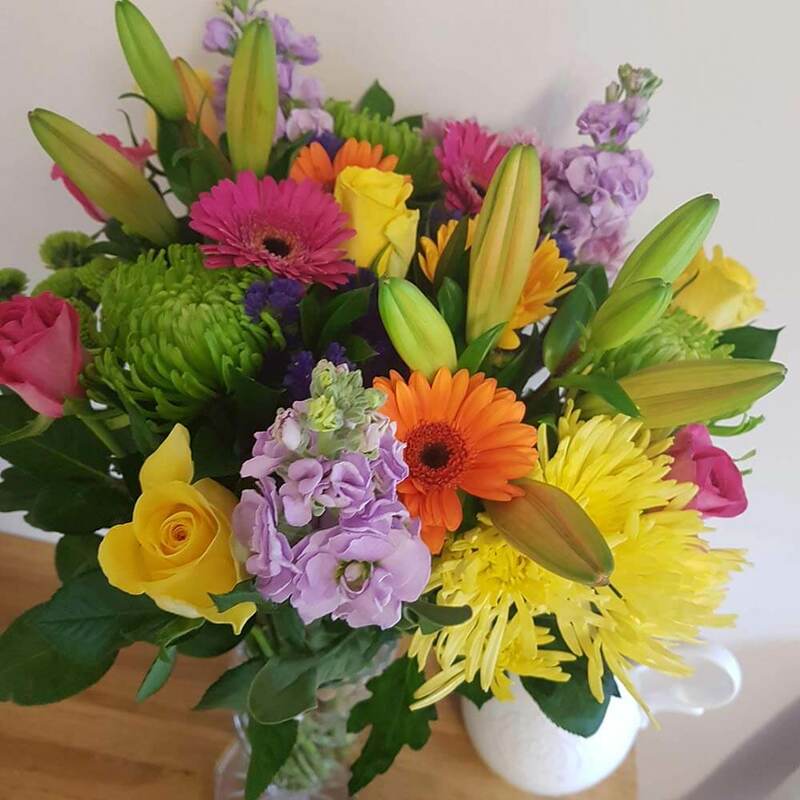 My Husband has bought flowers for me – more than the £30 I spent with Post-a-rose – from flower shops in my local town. Don’t get me wrong, they’re absolutely beautiful – BUT 1. the bunch is no where near as big 2. the flowers didn’t last 2 and a half weeks. In the end, I actually separated the flowers into TWO – yes TWO! – vases. That’s how much you get for £30! So now not only my kitchen smells amazing – so does my hall. All in all, I will definitely shop with Post-a-rose again when buying flowers online. I send flowers to my Gran from time to time, and she loves nothing more than a big vase full on her dining room table. She’ll be made up if she gets a bunch like I did. From reading their website, they grow and post the flowers themselves. They don’t rely on local companies to do this for them – such as Moogpig. 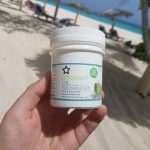 This gives Post-a-rose total control over the quality that’s sent to the customer, and cuts out the middle-man so prices are as low as possible. This is a photo of the flowers after 2 weeks. Still stunning! I won't spam or give your email away. Ever. I will only send you an email once every few months.